Max Verstappen was billed as a once-in-a-generation anomaly when he first took his seat in a Formula One car. Toro Rosso’s decision to sign the teenage prodigy was met with distaste, however — Verstappen would debut at just 17 years and 166 days old, and the Dutchman was only half way through his first championship season in any car category at the time of the announcement. The FIA reacted. Acquiring a superlicence, the only qualification required to driver a Formula One car, was made more difficult by requiring any F1 driver to be a minimum of 18 years old, hold a road car licence, and have achieved a minimum level of success in junior categories. But the genie was already out of the bottle. Finding the next teenage sensation has become the name of the driver development game ever since. Nurturing drivers in the lower formulae or having them serve apprenticeships at backmarker teams are out of favour compared to today’s sink or swim attitudes. Lance Stroll is the product of this school of thought. Just days after his 18th birthday and armed with funds from his billionaire father Lawrence, the highly rated Stroll was Williams’s bid to unearth the next Max Verstappen. Though slightly more experienced, Stroll’s junior career followed a route similar to Verstappen’s and culminated in European Formula Three. In 2014 Stroll won the Italian F4 championship, but in the 2015 European F3 season he was disqualified at Monza and excluded at Spa for dangerous driving, with both instances resulting in serious accidents. Stroll moved to make amends in European F3 in 2016, though this time the driver field was notably weaker. Further, to his advantage was his father’s investment in his Prema team, which helped to attract Ferrari engineer Luca Baldisserri and an unclear amount of Williams technical assistance — though the team played down the latter’s involvement. The Canadian’s dominance that year was such that his management pushed him past Formula Two and straight into his designated Williams seat. Now in Formula One, his results are illustrative of his short and patchy junior career. 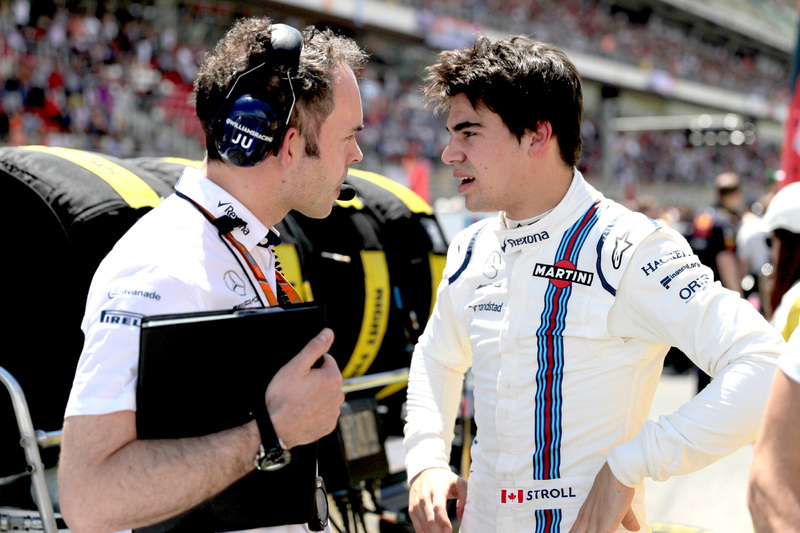 Though his Williams car is vying to be the fourth-best machine on the grid, Stroll has failed to score points in all five grands prix, and of his three retirements, two were the result of accidents he could have avoided, even if neither was solely his fault. But Stroll’s F1 career to date hit its nadir in Spain, where he was so desperately off the pace that he finished 16th and last in a car that should have been racing for points. The comparison between him and his senior teammate, Felipe Massa, could not be starker. At their final pit stops Massa was more than 17.6 seconds behind Stroll due to first-lap damage, but at the end of the race, just 29 laps later, the Brazilian was 11.5 seconds up the road — a one-second-per-lap, 29.2-second turnaround. Worse for Stroll was that he suffered even more significantly against rivals in slower machinery — McLaren-Honda’s Fernando Alonso turned an 18-second deficit into a 17-second lead in just 22 laps, and Renault’s Jolyon Palmer came from 38.6 seconds behind to finish 4.6 ahead after just 21 laps, though both admittedly had faster tyres at their disposal. Though Stroll’s hefty financial contribution to Williams will be easing the pain somewhat, the team’s lowly sixth place in the constructors standings makes for grim reading. This is not to say that Stroll isn’t a talented driver, nor does it suggest that he won’t come good some point down the line — he’s still developing his craft as a teenager, after all — but when and if he starts delivering is the wrong question to ask in first place. Ask instead: is Formula One the category to have young drivers learning the ropes? Max Verstappen, after his sensational 2015 debut and subsequent meteoric rise, has unfortunately become the shorthand answer to that question, but in truth the beauty of Verstappen’s perennial overachievement isn’t that it could be possible for any teenager but rather is that it’s exactly as it was billed: once in a generation. Verstappen’s precedent is dangerous for young drivers like Stroll, who now suffer under the burden of expectation to be the next teenage sensation, for which skipping critical junior years is temptingly normal. The old F1 truism goes, ‘If you’re good enough, you’re old enough’ — but prerequisite still is to be good enough, and in Lance’s case a lack of preparation has left him wanting on this count. Unfortunately it might take the burning out of his career before the sport remembers a time before teenagers drove F1 cars.